Golden Hills has a royalty theme this year. 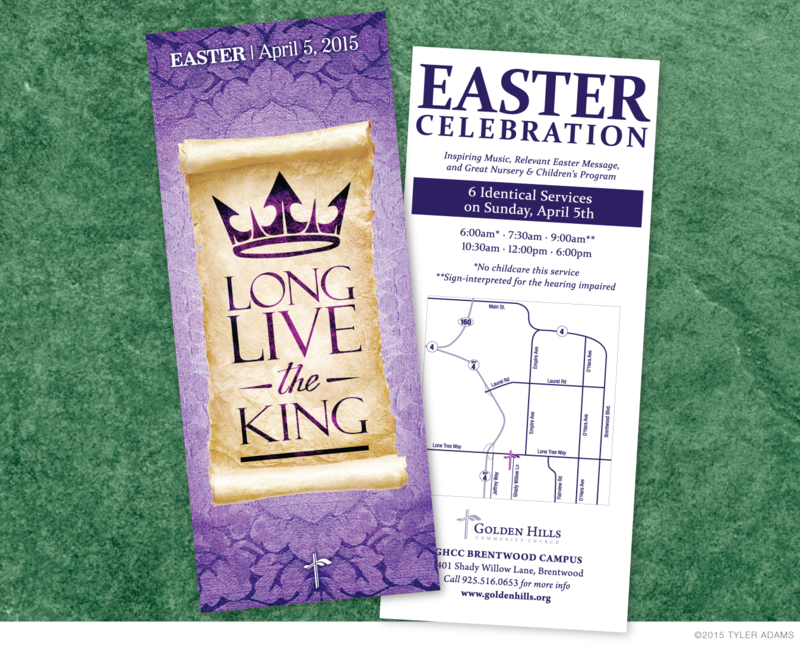 Their all-church campaign was about God's Kingdom, and so Easter ties into the kingdom of God with focus on the King who died and rose again. 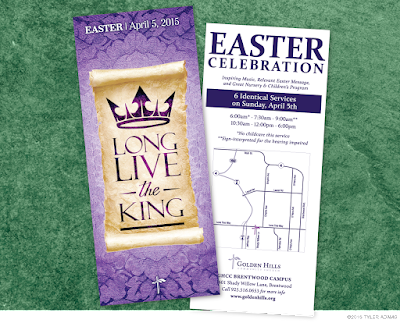 I thought the traditional line and chant of "Long Live the King" would be especially appropriate when we are celebrating that King Jesus is alive! I ran with the traditional purple to stand for royalty. It also works well as an Easter color that we have not used as a main theme color on Easter in quite some time. I chose to show a crown as the main image above the title and I tried to make it reminiscent of the crown of thorns that Jesus wore as well as make it a royal crown to represent Jesus' reign.